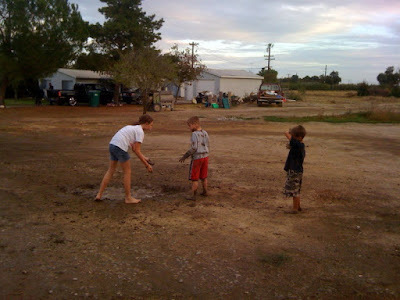 Soo yesterday the kids decided to go out and play in the mud. My first instinct was NO don't mess up the driveway!! I spent a lot of time smoothing it all out over the summer. 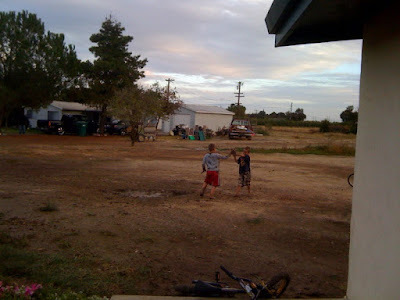 and I can fix it again, and just look at how much fun they had!! What you don't see here is that it was Jessica's idea. I didn't get any pictures of her in the mud though. And he was WAY worse when they were actually done lol. 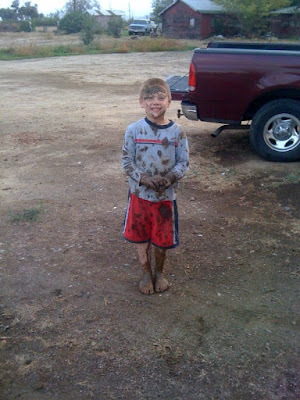 I remember loving to play in the mud as a kid, what a great mom you are for letting them just be kids! 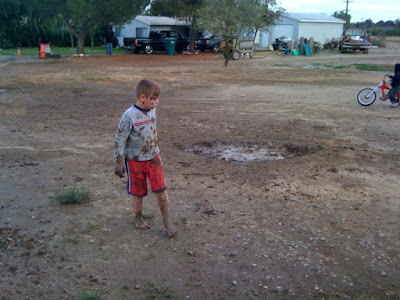 I don't like mud, even when I was a kid I didn't like mud! I hope you hosed them kids down before letting them inside!